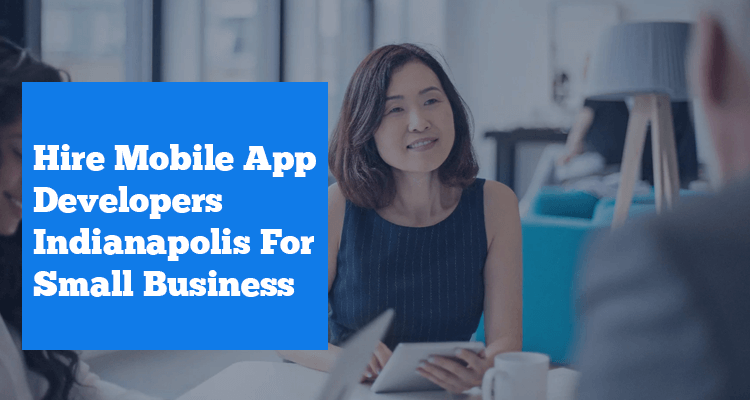 How to Hire the Expert Mobile App Developers in Indianapolis in 2019? You head to the right place! Go on. ChromeInfotech is a place where you can give your idea a real picture. We are a leading mobile app development company Indianapolis. Also, we have delivered more than 200 successful mobile applications to our happy clients that get funded by billions of dollars. If you are also looking for the same, come to us. You must be the next winner! Companies who focus on core products and services require the best mobile app developers in Indianapolis. There is a wide range of application developers to employ in the world market today. So look for the best ones out of all does not come in quickly. Companies need to verify the developer’s skills, application portfolio, client surveys, technical expertise, and numerous different elements. The one single team that guarantees you of the best app development company in Indianapolis, Indiana is ChromeInfoTech. We assist business owners in developing their startup with mobile applications. Ad we accommodate their clients with their business in a few taps. While development, we remember numerous things like concept, design, idea, budget, marketing, and timeline. We comprehend the significance of the idea for business owners and convey the solutions that suit their needs. 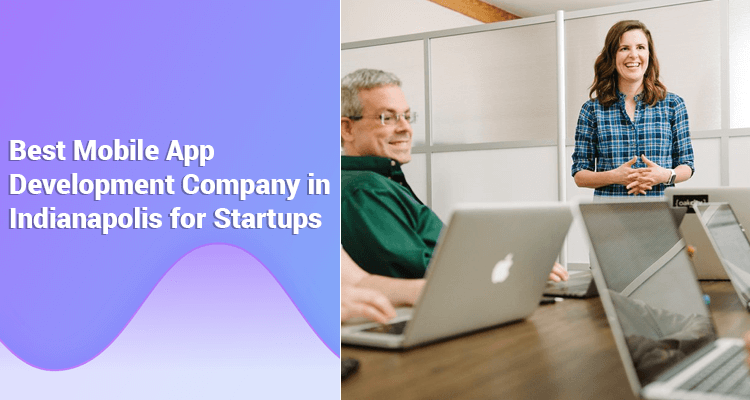 We have created 500+ applications for new companies on both the Android and iOS platform, and the apps are successful in the market. In case you are a startup and searching for web and mobile app development service Indianapolis. Then we are the best decision for you to pick as your development partner within your timeframe and budget. 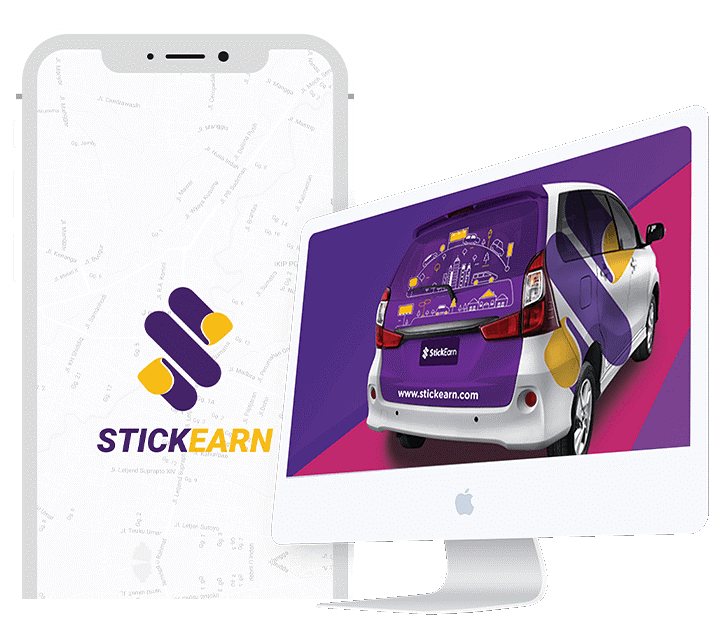 StickEarn – Is an application that helps to provide convenience to digital advertisers a platform. It will help you to manage the marketing campaigns in an effective, efficient, measurable and flexible manner. What are the Client Requirements? Their important focus to connect numerous brands. Along with various-car-owners (those who owned four-wheelers). With this, they crafted a new and modern way of advertising. Our clients required to start this service from Jakarta, Indonesia, and similar countries. The traffic volume is higher in these countries. We have provided end to end solution to our client that they achieve their goal and it has completely changed the way of android app development. To see our work portfolio, click here. ChromeInfoTech has created 500+ web and mobile applications for different businesses. Furthermore, it encourages them to remain at the highest point of the market. Our certified team has an excellent experience to build up the most complex applications for practically all domains. Our involvement in this industry makes us the most dependable and trusted app developers Indianapolis for your project. Today, with fewer resources small business/independent ventures are endeavoring to build up an application. It encourages them to survive in this aggressive market. It’s a big offer for a small business to have a mobile application when there are 50% of organizations doesn’t have an app. 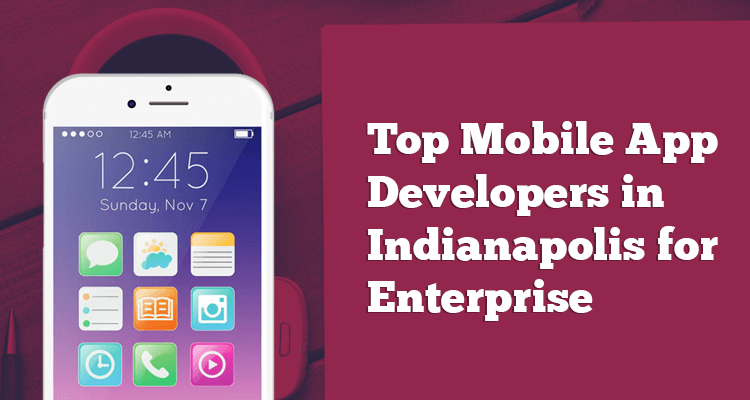 In case you want to procure the top mobile app developers Indianapolis, Indiana. You should need to associate with us and share your idea right away! We are the best web and mobile app development Indiana. And Indianapolis, we have the chance to sever numerous organizations and business owners with different kinds of market and professions. We convey a solution for each business with a one of a kind application development approach. That causes us to create applications tailored to your business needs. We at ChromeInfoTech offer a wide assortment of services gathered into different classifications. Under Mobile application development and Software Development with productive turnaround time. We likewise design highly charming mobile and web applications. Also, we are in different industries. Indianapolis software engineers utilizing the Android OS have earned overall acknowledgment of their skills and aptitudes concerning that OS. As ChromeInfotech, we are not charging a higher amount in respect of other countries developers. Moreover, this is the one more reason to hire ChromeInfoTech and its best Android app developers Indianapolis. In the meantime, these Indiana developers can convey results that are at standard with the world’s ideal. This mix of low pricing and quality work is the reason numerous organizations search out the services of Android developers from Indianapolis. The way of making an incredible Android application is to find software engineers with both functional and imaginative abilities. It implies your favored software engineer should know all parts of utilizing the Android OS. However, at the same time have the capacity to render a creative design for the application. Frequently a developer might be honored with technical skills and abilities. However, it is deficient in artistry and imaginativeness for the design aspect. ChromeInfoTech can give you the pick of the best Android professionals. So that your project won’t just perform well however look extraordinary too. You lYou likewise require an organization. That represents expertise in Android application development, and that comprehends cross-browser compatibility. The organization ought to have customer service ready to suit customers from various time zones and multiple nations. A few kinds of applications might be more prominent than others. However, in a perfect world; your favored Indianapolis application developers. Moreover, they should be sufficiently talented at dealing with application development classes. What’s more, software engineers should realize how to make applications for various sorts of cell phones. So, paying little mind to what cell phone you present to them. They can oblige your project needs. If you are all right with the idea of outsourcing your Android application project to an organization abroad, at that point, you should get in touch with our company to serve you. We will give you all the updates about the work we render. It will appear as though your project was being made merely next door. At ChromeInfotech, we will be glad to show you the work that we have done. We have amazing technical skills and abilities for the Android platform. Also, we cost significantly less than other mobile application development company. Android – which is a quickly developing operating system for cell phone gadgets have acclaimed for its every update. Its versatile, user approachable applications and adaptability has made it increasingly good. Android applications are the best thing in the present market and are becoming over the standard public like wildfire. No big surprise, there is a blasting interest for Android application solution on the planet. In this developing business sector, to find an appropriate partner who can give ability on Android application service. It should turn out to be pivotal for small and medium-sized businesses. As a leading Android application development company, we have an expert team of Android application developers. They take care of business issues and help new companies and ventures’ matters with Android innovations. Our team involves experienced Android designers with extraordinary capability in the platform just as the entirety of its variants. Our broad platform ability makes us competent to give a full scope of Android application development solutions. It is an ideal counterpart for the customer’s requirements. We check the customers’ specific project requirements that allow them to achieve their ideal business points. ChromeInfoTech has a team of technically sound and a master team of Android applications specialists. That have the required abilities and skills of Android application platform. Our Android application engineers have dedicatedly occupied with creating stable and versatile Android applications. It will help you to make utilization of the most recent tools and Android SDK. They can compete to grow the best Android application development solutions. Android is an open source platform which enables engineers to creates applications very effectively. Honestly, it offers quicker and generally eases development for start-ups and business. Android furnishes you with a stunning platform to create applications and games for many Android users. It enables you to connect with a higher segment of Android users and enhance your market discernment. Android gives you everything that you require as far as application development. It naturally upgrades your UI on various cell phones. Moreover, it will provide you with complete control over your UI for different gadget types. Android designer tools offer a full Java IDE with highlights to create, troubleshoot, and bundle Android applications. Android gives you everything that you need in terms of application development. It automatically enhances your UI on different mobile devices, while giving you full control over your UI for different device types. Android developer tools offer a full Java IDE with features to develop, debug, and package Android apps. Applications created on the Android platform are exceedingly adjustable and comfortable to oversee. It helps android application development organizations to develop custom Android applications for organizations. Indeed, even the information the board and media tools can be permanently updated. We create, design, and deliver innovative Android apps and games for Android mobile phones. Backed effectively along with state-of-the-art User Interface and feature-rich functionality. Our In-house Android developers in Indiana, make use of all features and functionalities of Android mobile platform. Native Android app development solution in Indianapolis occurs a whole code written in an Android particular programming language. The applications created using the device’s core functions like Address book, contacts, camera, GPS, ETC. The single code base of Hybrid applications is utilized to run an app on the devices. Android app developers Indianapolis wrap the underlying code base in Android native application. Moreover, it is simple to apply on numerous gadgets irrespective of OS & Platform. Being a pioneer of Android and iPhone app development company Indianapolis. We possess complete innovation mastery. Also, it makes us ready to convey the best applications that coordinate the client’s business needs. For what reason does Android App Development Company-ChromeInfoTech from Indianapolis emerge from the rest? We at ChromeInfoTech, create, design, test and extend application according to your interest. We convey end-to-end solution for Android application development Indiana right at your doorstep. Our 70+ dedicated Android developers have good experience to make the best custom native and hybrid applications for Android Smartphones, Tablet, and Wearable Gadgets. 500+ Android application projects have delivered to customers covering practically all enterprises. Our developers create a clean and optimized code. We are always building Bug-free application and don’t leave corrupted impressions for our clients. The expertise to work with the recent technologies in Android has helped ChromeInfoTech teams to utilize proven methodologies. With no deferrals, Android designers from ChromeInfoTech accept to give quick service. Thus they plan ahead of schedule to launch at the accurate time. With ChromeInfoTech, you can be ensured the best costs in the market without trading off for quality in any way. ChromeInfoTech offers dedicated project managers and developers individually for all sort of projects. ChromeInfoTech is an excellent choice for various Android app development clients. Because, we offer customized, high-quality applications at reasonable rates. Our competitive pricing model makes us affordable even for small and mid-sized businesses or startups. We will provide the best user interface to your app. Also, the user experience always lures the recommendations of customers. We carry your projects with a quick development procedure. Also, we are extremely cost-effective. We have modern tools for every app development projects. We are highly practical, and we -inspect our plans to be completely free of bugs. Our delivery quality is unique. You must give us a call now and get your products and services to reach the right audience through our high-end mobile app development. Start to build your business further. As ChromeInfoTech, we are focused on helping the local businesses in Indianapolis. To grow along with the innovations competence in the digital presence. Why don’t you give your next application development deal to the experienced hands? Try us once, and you will return with more employments done or refer individuals to us.